Before baseball returned full force with the opening day of the Major Leagues (Grandes Ligas*), there was the World Baseball Classic, which was interesting as it was about baseball and, yes, the rest of the real world. The USA team beat the previously-seven-victories-and-one-defeat Puerto Rican squad. The jubilant team representing the Commonwealth of Puerto Rico chose to dye their head and facial hair blond (I guess just to do it). This reportedly caused a shortage of blond dye in San Juan (that’s in P.R.). Considering that the USA won the true world tournament, the failure of the ‘press’ to follow up was glaring. I guess “follow the money” is still regnant. If you grew up on the mean streets of the 50th Ward in Chicago (as I did), Tucker Carlson, the embattled Fox Network Cerebus, comes off as a preparatory school prick. 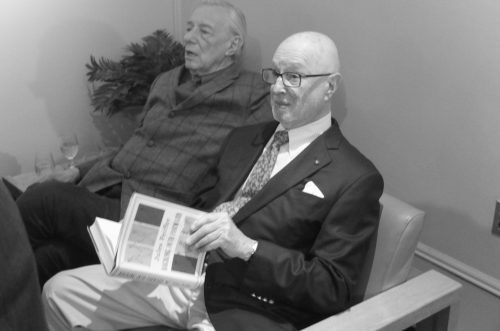 Now comes an article in the hallowed New Yorker magazine, providing more information and coloration than I ever wanted to know about a Fox headliner. Essentially one learns that Tucker is a human being. The big surprise for me is what the late, still-great Christopher Hitchens observed about Tucker Carlson (which is a timely reminder about the distortions of Television). Somehow I chanced to come across an excellent documentary, winner of some prestigious awards, that unpacked the truly ugly visage of the ‘innovation’ economy as it overreached in San Francisco. Company Town focuses on Airbnb’s land grab and speculation in the Mission District and China Town. “The Innovation Economy necessitates such cultural changes, but it offers no independent argument for freely choosing them. Instead, the manifest destiny of business touts innovation as if it were synonymous with progress, rather than one among its many necessary qualities, and leaves it at that. So you can be sure the next time a wealthy college dropout like Mark Zuckerberg filches a banal idea from a couple of wealthier classmates and wants to beat them to midmarket, he need not ride the golden carpet to Silicon Valley and let Stanford or Cal Tech garner all the credit and cash. In Cambridge, teams of elites will regulate the general production from startup to corporate behemoth and make it easy for him to optimize the same thing today that he optimized yesterday. The new man of the Innovation Ideology will be free to code in the morning, head to the laboratory in the afternoon, and brag after dinner, without ever having to read books. Closer to home, Boston University’s archival repository (home of some of Martin Luther King’s papers) now accommodates the papers of patriarchal illustrator/cartoonist/author Edward Sorel. Appropriately, there was an opening reception of a well-curated and crafted exhibition which featured Sorel admirer and Vanity Fair editor Cullen Murphy, and Sorel’s (almost, as Murphy cleverly pointed out) lifelong friend and fellow member of the pantheon of US illustrative arts, cartoonist/writer/playwright Jules Feiffer. 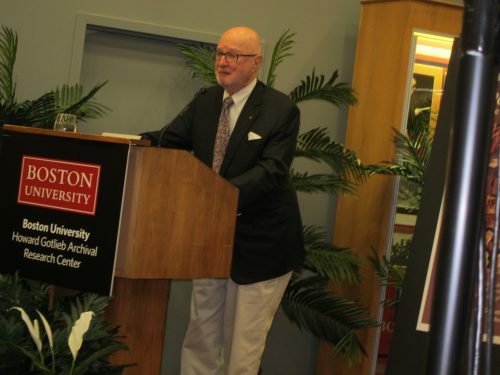 Feiffer in lauding his friend provided a vivid snapshot of growing up in and thriving in mid-20th-century Brooklyn. 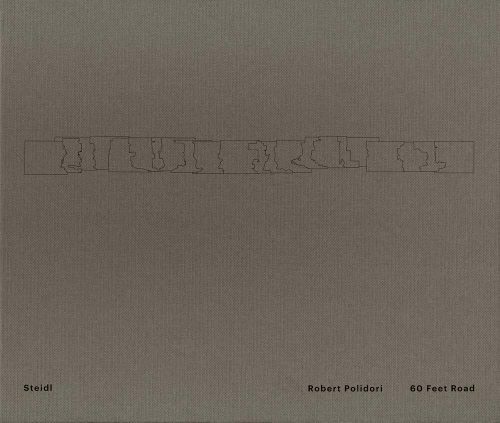 And Sorel, no stranger to turning mordant phrases, offered some moving and appreciative remarks about the whole shebang. 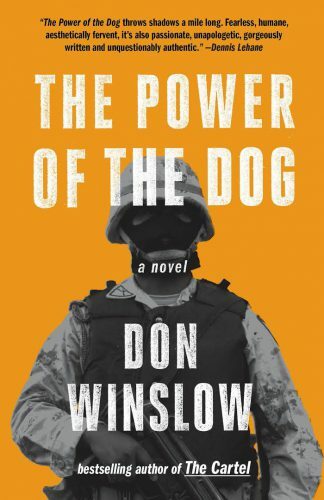 Don Winslow’s The Power of the Dog probably resides at the top of the lists of “literary thrillers” of the people who make up such lists. 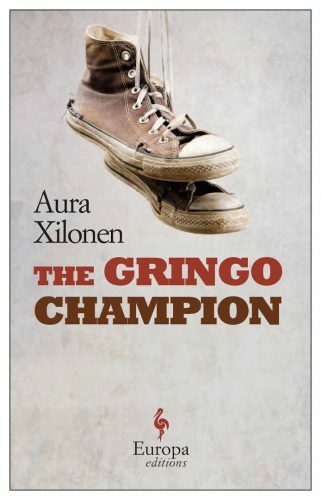 Nonetheless, it is a powerful expose of the so-called war on drugs which reasonably and plausibly makes complicit every institution from the DEA to the Catholic Church to Columbia’s leftist guerrillas and right wing death squads. He followed ten tears later with the part II of a never-ending story entitled The Cartel. He also penned the novel Savages, which could have done without Oliver Stone’s magic touch. It should be unnecessary to point out that multitudes of books pile up on my front porch daily. Such is my experience that following the prominent venues/gatekeepers (e.g. New York Times Book Review) which cover the world of literature and its attendant book industry you will receive a limited picture of real live books. So here’s a quartet that caught my eye (some acknowledged elsewhere, some not). “Harrison lived and wrote on his own terms, undaunted by gatekeepers whose credentials he was only too happy to question. This independence granted him remarkable diversity from superb lyrics to moving adventures, to heedless and bracing vulgarity. For decades he could be expected to pluck something marvelous right out of the blue such as Farmer or Dalva or Legends of the Fall. 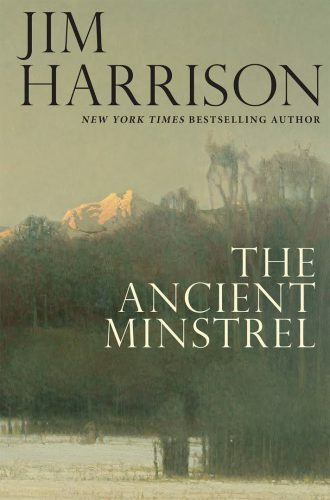 Two of Harrison’s books were (more or less) published recently, including a trio of novellas, The Ancient Minstrel: Novellas. The novellas, a form (whatever it is) that Harrison mastered, includes the title story, which is unabashedly and hilariously autobiographical. Years ago Harrison was for too brief a time contributing a food column to Esquire magazine. Which happily became a book The Raw and the Uncooked. 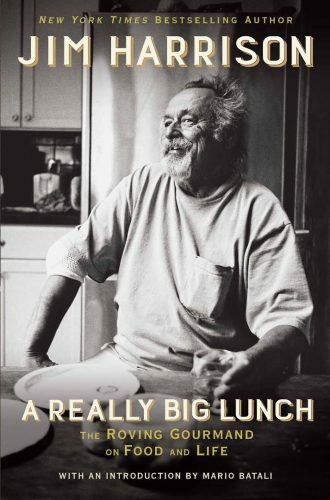 Now an anthology A Really Big Lunch: Meditations on Food and Life from the Roving Gourmand reminds us that Harrison’s scope of observation and experience covers multitudinous waterfronts. This volume includes his New Yorker account of a 32-course lunch which he partook in. 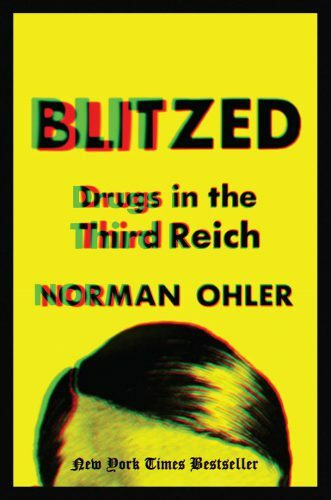 “… Germany was a pharmaceutical powerhouse, and companies such as Merck and Bayer cooked up cocaine, opiates, and, most of all, methamphetamines, to be consumed by everyone from factory workers to housewives to millions of German soldiers. In fact, troops regularly took rations of a form of crystal meth—the elevated energy and feelings of invincibility associated with the high even help to explain certain German military victories. Arguably Scorsese’s concert film The Last Waltz, whose 40th anniversary is being celebrated, is, simply based on the music, a wonderful record of some wonderful music and musicians. However, the background story about the split of the Band is touched on in a documentary of the Band’s main drummer and singer Levon Helm, Ain‘t in It for My Health. Helm had a revitalized presence in the music world after recovering from cancer and recorded some award-winning music and regularly hosted star-studded jamborees at his home in Woodstock, New York. 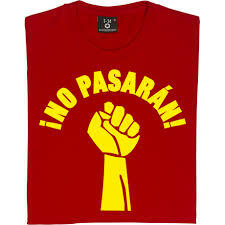 *Capital letters added by ed. Posted in Infostream and tagged Airbnb, Baseball, Christopher Hitchens, Drug War, Jim Harrison, Levon Helm, Martin Scorsese. Bookmark the permalink. Trackbacks are closed, but you can post a comment.